The XL2730Z is a gaming monitor from BenQ featuring AMD’s FreeSync technology. 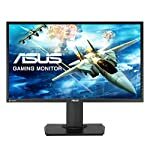 It seems to be pitched at the serious gamer and this is reflected in the price but if you want a monitor that has all the features needed for smooth game play then this does have it all. It follows on from the older, and smaller, XL2430T which has a very look and feel to it. The XL2730Z falls into line with BenQs previous gaming monitors, again we see the S Switch control breakout which is useful for optimising your image without having to fiddle round for buttons. That said, there are also buttons included if that’s your thing. It has rather a robust look, it’s not quite what I’d describe as elegant with it’s blocky feel. But it isn’t unattractive either, there is a small splash of red colour that isn’t overkill and the stand appears compact. The stand scores well for ergonomic adjustment. It has the full range of height, tilt, swivel and rotation and also has a handy trackable scale that allows you to record set positions. A really nice touch if you are moving the monitor round and want to restore it to your preferred position afterwards. 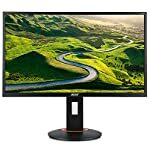 G-Sync monitors are sometimes limited in connectivity, featuring just the required DisplayPort connectivity, but this being a FreeSync model you get the full compliment of connectivity, including VGA, DVI, 2 HDMI inputs (one at version 2.0), as well as DisplayPort 1.2. The 144hz refresh rate is going to make this monitor play very smooth. Just make sure you have a graphics card to power it, or at least consider an upgrade in the future! At 1440p QHD resolution you’re going to need a top end card to get close to 144 frames per second. Professional testers show that the out of the box colour performance isn’t up to the standard of an IPS or VA panel. You can get a better picture by using the on screen controls but your best bet for optimal configuration is an ICC profile downloaded from the web. Interestingly, tests also show that the latency is slightly higher than expect when running at 60hz. It’s not going to be that noticeable in normal use and cranking up the refresh rate gives latency that is never going to trouble the serious gamer. FreeSync is also available in this model and helps to reduce latency further by not having to rely on V-Sync. The adaptive sync technology helps to give gamers smoother tear free images by keeping your monitors framerate in sync with your graphics card output. The BenQ also features a blur reduction mode which unfortunately cannot be used concurrently with FreeSync. So you’ll have to choose, do you prefer a reduction in on screen blurring or a tear free image? In reality the configuration setup you utilise will depend on the game you are playing and your personal preference. Fortunately the S Switch makes it easy to swap between modes. We give the BenQ XL2730Z a 4.5 out of 5 rating. Want to know what existing owners of the monitor think? You can read real user reviews here. 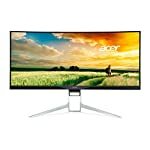 Should I buy the BenQ XL2730Z? The BenQ XL2730Z isn't the cheapest screen on the block but you won't be buying this if you want cheap. This is a monitor for the enthusiast. It can run at a whopping 144 frames per second with FreeSync at a mighty fine 1440p resolution. You'll need a tidy PC rig to show it off at its best but even if you're not quite there yet - this will tide you over until the jump to 4K. If you are having some doubts about this purchase then why not read some real owner reviews and see what other buyers think. Welcome to the BenQ XL2730Z FAQ. This section attempts to answer common questions you may have, please get in touch if you have any more queries or if you think our answers need updating. 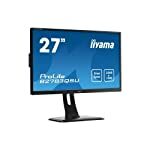 Does this monitor run in portrait mode? It sure can. Useful for a variety of applications and the odd game. Could I use it for photo editing too? Well, you can, but it isn’t really professional level when it comes to colour accuracy. If you want some casual application work then fine but if you need a pro monitor then this might be a compromise too far. It’s really aimed at providing fluid game images.